Box dimensions 14,5 x 7,5 x 5,0 cm. Device for transporting ski equipment. 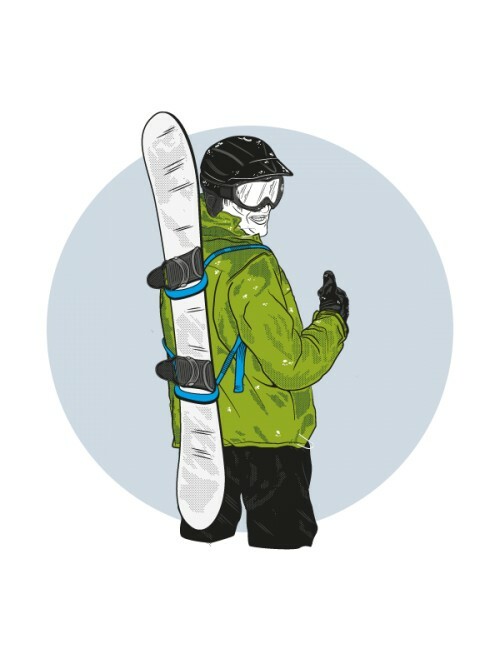 SkiBack is the first patented system that allows you to carry your ski equipment without using your hands. 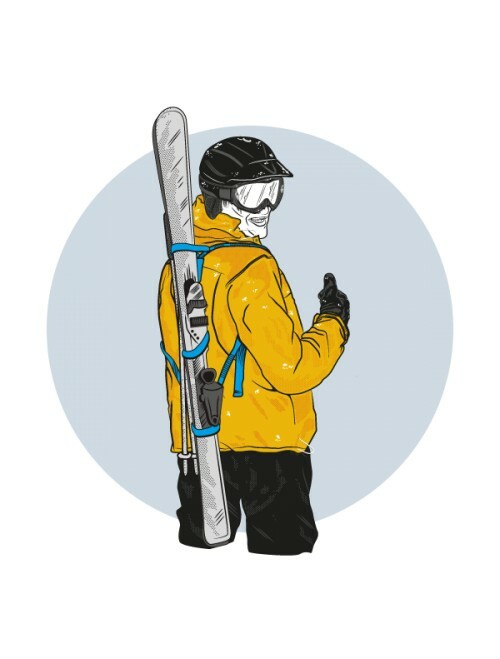 Carry it folded in your pocket when you're skiing, it will not bother you at all. 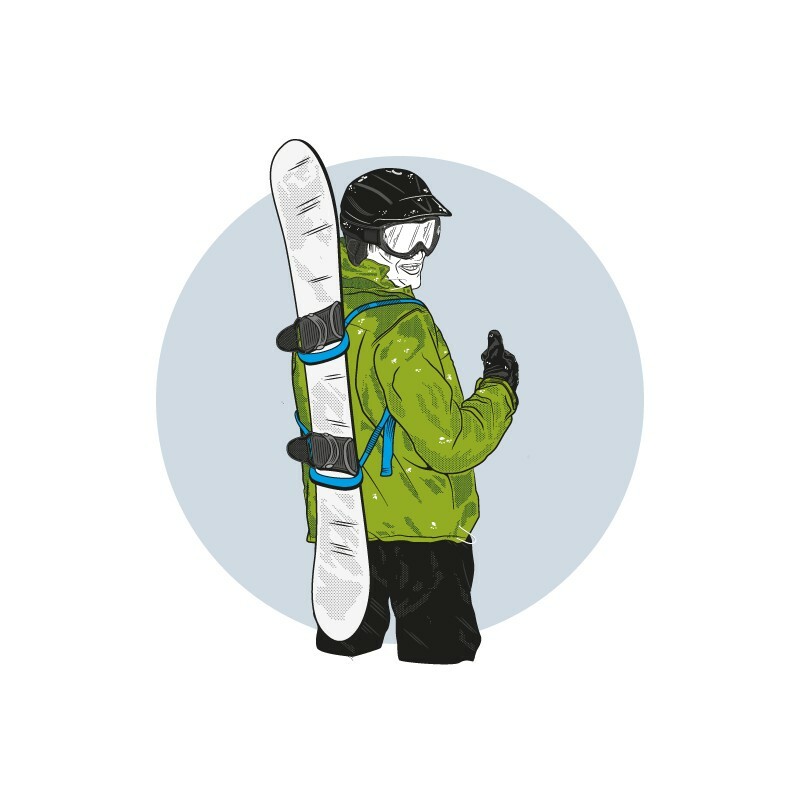 With SkiBack you can move with the security of not causing accidents or causing injury. Ideal for trips in the station, between the accommodation or parking and the tracks.